Although he demonstrated proficiency in painting, sculpture, and graphics, Max Klinger retained a special attachment to printmaking throughout his career, and in so doing, did much to undermine the prejudice against printmaking as anything more than a means of mechanical reproduction. Klinger produced a total of fourteen major print cycles, modern in content, but academic in execution; these works feature elaborate narratives set in meticulously-detailed representational settings. Hailed by Giorgio de Chirico as “the modern artist par excellence,” and eulogized by Käthe Kollwitz at his funeral, Klinger exerted a profound influence on an array of artists that included Salvador Dalí, Edvard Munch, and Alfred Kubin. 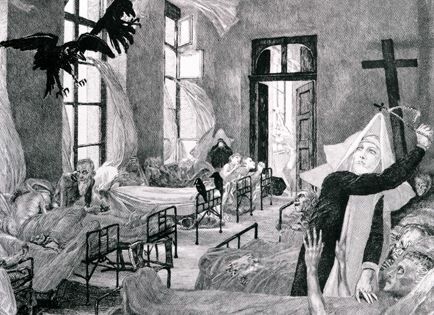 His artworks explored the grotesque and the fantastic, and touched upon such social issues as the plight of women. Born into a well-to-do family in Leipzig in 1857, Klinger took up study at the Art School in Karlsruhe at age seventeen, and followed his first instructor, Karl von Gussow, to the Berlin Academy in 1875. With the exhibition of a series of ten ink drawings collectively entitled The Glove (later to be reworked into the etching cycle Paraphrase of the Finding of a Glove) at Berlin’s Art Union, and other works shown at the city’s Annual Art Exhibition later that same year, Klinger first rose to prominence at just twenty-one years of age. Prints from Klinger’s Glove cycle today remain among the most desirable of his works, although they become available infrequently.